$3,600 Includes Round-Trip Kenya Airways direct flights from JFK, 1 night Nairobi Serena Hotel, 2 nights Lake Elmenteita Serena Camp, 3 nights Mara Serena Safari Lodge, All Meals while on safari, Game drives, Safari Driver/Guides, Park Fees, Bush Breakfast by the Hippo Pool and Star-lit Barbecue Dinner in the Mara, Airport Transfers, Experience of a lifetime! Upon arrival at Nairobi at Jomo Kenyatta International Airport at around 11 am, you'll clear passport control and customs before being met by your driver and transferred to the Nairobi Serena Hotel. Your afternoon is at leisure. Overnight at Nairobi Serena Hotel (Lunch, Dinner & Breakfast). After breakfast you will be met by CAT Safaris representative and your dedicated Safari Driver Guide. After a pre-safari briefing, depart Nairobi driving down the eastern wall of the Great Rift Valley, your driver guide will stop at strategic viewpoints for photography where you will come out and view the escarpment and take photos. Lunch at Lake Elmenteita Serena Camp in the Soysambu Conservancy followed by an afternoon at leisure. 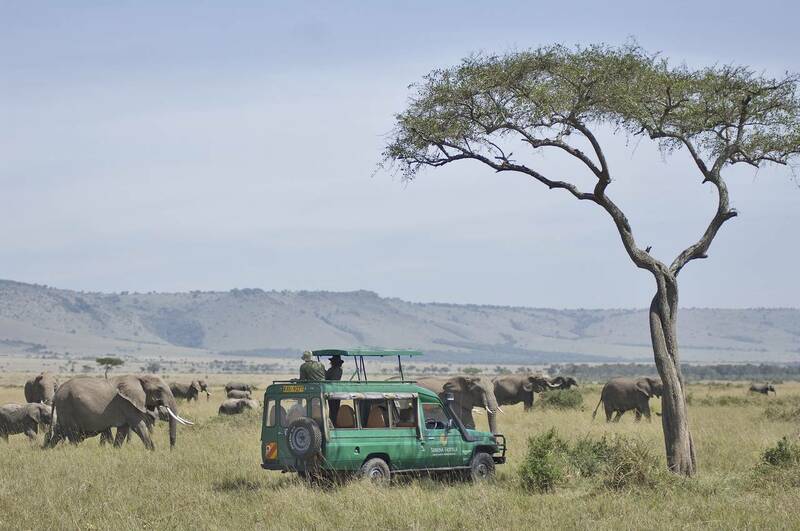 Enjoy afternoon game viewing drives in the Conservancy. Rothschild giraffes have found a safe haven for breeding here, while a diverse variety of terrain shelters many species - from herds of giant elands to tiny dik-diks and cliff-dwelling klipspringers. Overnight at Lake Elmenteita Serena Camp (Lunch, Dinner & Breakfast). After breakfast depart and drive to the nearby Lake Nakuru National Park. The park, colored by a shimmering flamingo pink from thousands of the beautiful birds lining its shores, the park is home to great numbers of the white and black rhinos and buffaloes. After game viewing drives, exit the park and drive to Kariandusi Pre-Historic Site and Archaeological Museum. Kariandusi is an extensive archaeological site and amongst the first discoveries of Lower Paleolithic sites in East Africa. It is possibly the first Acheulean site to have been found in Situ in East Africa. Hundreds of Bolas and Acheulean hand axes and stone artifacts have been unearthed here. Picnic lunch will be served at the site before returning to the Camp. Rest of the afternoon at leisure to relax and enjoy a swim the camp’s infinity pool. Overnight at Lake Elmenteita Serena Camp (Lunch, Dinner & Breakfast). A Serena Maisha Health Club and Spa featuring an exciting spa menu, steam, sauna and gymnasium is also now open – an opportunity to have an experience of tranquility and good health whilst on safari. There is a swimming pool and the new terrace gives you an opportunity to enjoy the sweeping views of the of the expansive Maasai Mara plains. Enjoy an evening game drive in the reserve. Certainly the most frequented game reserve in Kenya, Maasai Mara is a magnificent landscape of open plains bisected by the Mara River and its tributaries, and punctuated by marshes and forests. Overnight at Mara Serena Safari Lodge (Lunch, Dinner, Breakfast). Hippo Pool Breakfast. On one of the mornings, crown your game viewing experience with a “Bush Breakfast” by the Mara River Hippo Pools! One cannot resist the charming “Jambo” from the chefs and Masai warriors as they welcome you to our wonderfully set breakfast buffet of cold cuts, fruits, cereals and hot dishes with eggs made to your specifications as you wait. The hippos keep you company and only say “Kwaheri” (good bye) after you have had enough. On the last night in the Mara, you will be hosted to a “Star Lit” Bush Barbecue Dinner: The Star Lit Bush Dinner. Nothing is quite so essentially ‘Safari’ as the traditional ‘bush dinner’, especially when it is enlivened by the presence by a group of scarlet-clad Maasai Morans (warriors). Your Star-lit dinner begins with cocktails around the campfire. Dinner will then be cooked on a blazing BBQ, accompanied by a wide range of salads and vegetables. While dessert and coffee is served, the Maasai Traditional Dancers will entertain you with songs, chants and dance displays. After dinner, you will be driven back to the lodge. Overnight at Mara Serena Safari Lodge (3 Lunches, 2 Dinners & 2 Breakfasts). Following an early morning game drive and breakfast and lunch, guests will be transferred to Mara Serena Airstrip for a scheduled flight to Nairobi. 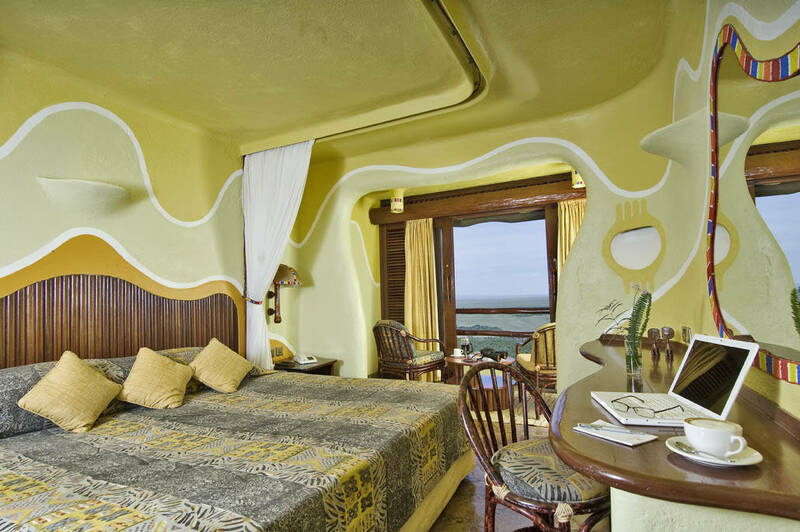 Upon arrival, guests will be met and transferred to Nairobi Serena Hotel. Afternoon is at leisure. Later in the evening you will be transferred to the International airport for your flight home.